One thing I like about Mondays is that I get to go to the Farmers Market! This Farmers Market is huge! There are hundreds of vendors and also a very large Flea Market section in the back. You can find anything here from socks to tomatoes. It’s like a gigantic outdoor department store! And so much fun!! I think my favorite section is the antiques area where you can find lots of interesting items. However, today I didn’t have time to go back there so I just went straight to the veggies and fruit which was what I came for. Everything is so fresh. Lemonade anyone? 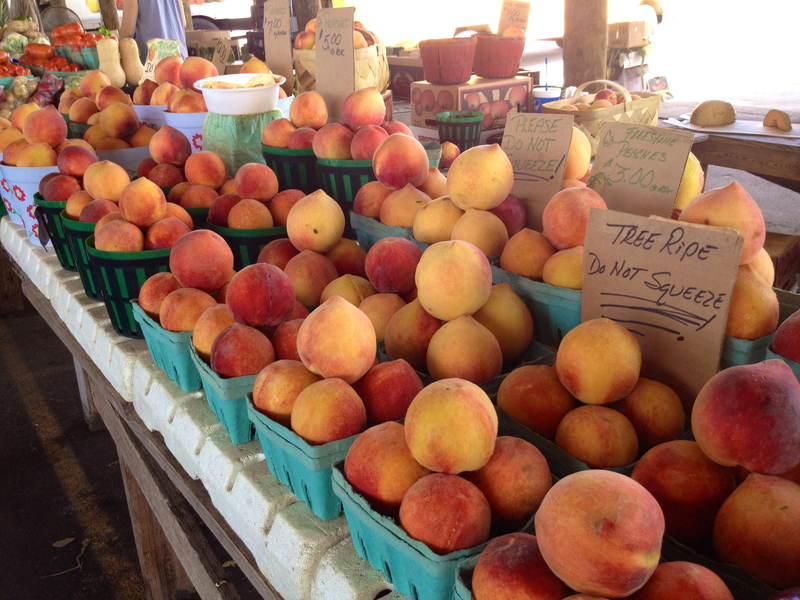 The peaches are so sweet and juicy! I’m thinking..peach cobbler… oh yeah, I’m supposed to be on a diet. The cherries are one of my favorites so we bought 2 lbs for $2! 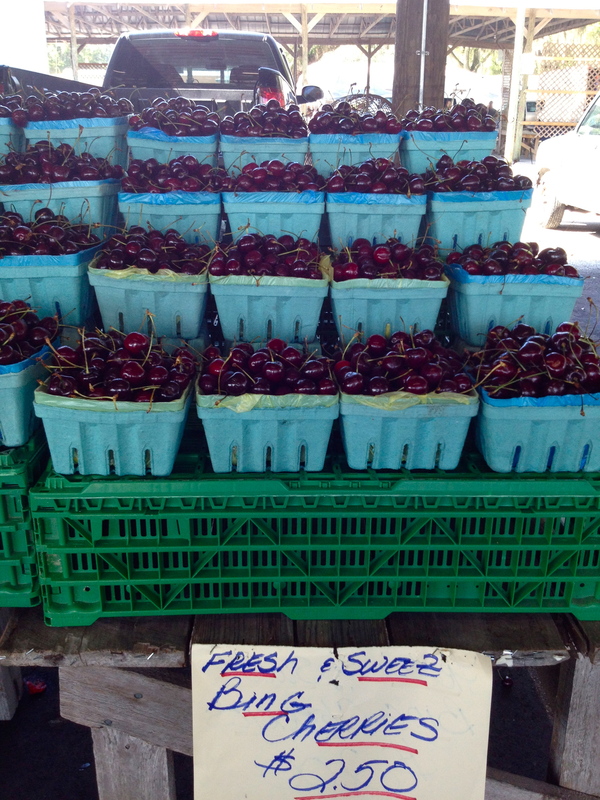 There were lots of cherries. We walk up and down the aisles looking for the best prices and produce. 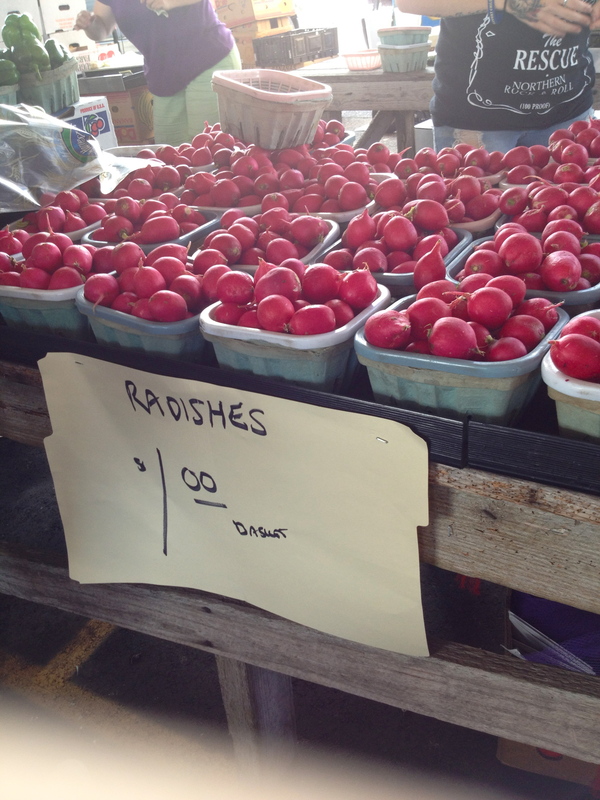 I couldn’t believe all those radishes for $1!! If you’ve never had a Florida avocado, I suggest you do. They are delicious! And those hot peppers? I like to put them in a bottle with garlic, vinegar, and olive oil. You can use the oil for dressings and the peppers in anything from scrambled eggs to chili. Watermelon and summer. Can’t wait to make frozen watermelon treats! My favorite! Just blend watermelon, sugar, ice, and a little water. Pour into ice cube trays and freeze for a couple of hours. Place 4-5 in a glass and serve with a fork. Use the fork to break up the cubes. 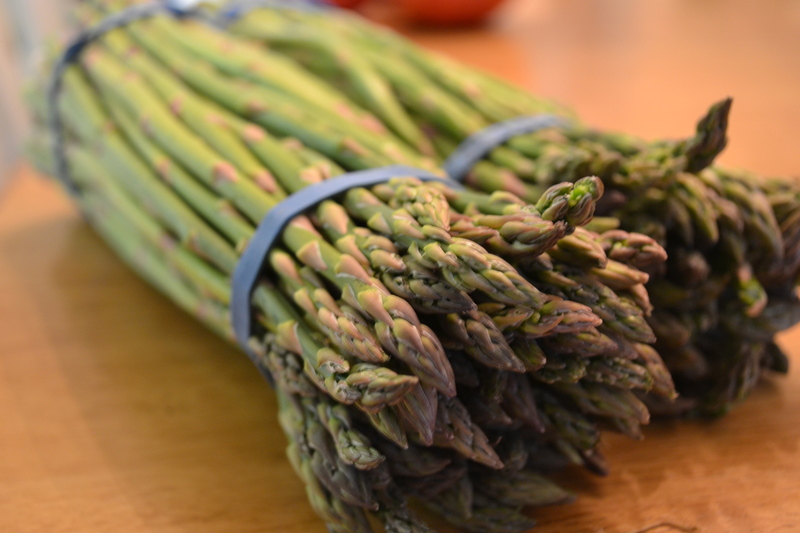 My husband likes asparagus so we got 2 bunches for $3. On the way out, I snapped this photo. The peaches were calling me. Dinner tonight was delicious… nothing like fresh veggies. All the clicks are awesome and mouth watering specially the last one of ripped peaches. 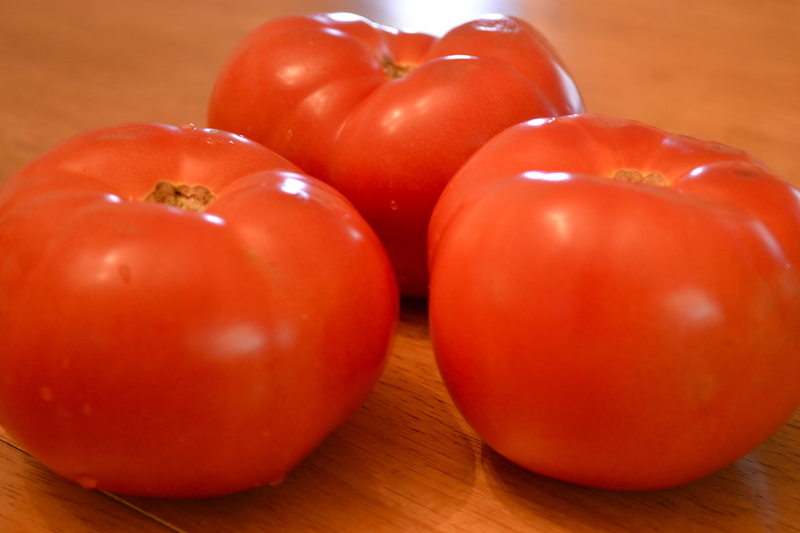 These are so fresh and affordable, that’s why I like to visit farmers market regularly. I love farmer’s markets! Loved the pictures you took. The food looks so fresh. Thanks so much for your compliment! And yes, I agree, the food is really fresh and has so much flavor! Cherries are one of my favorites, too! Wow! 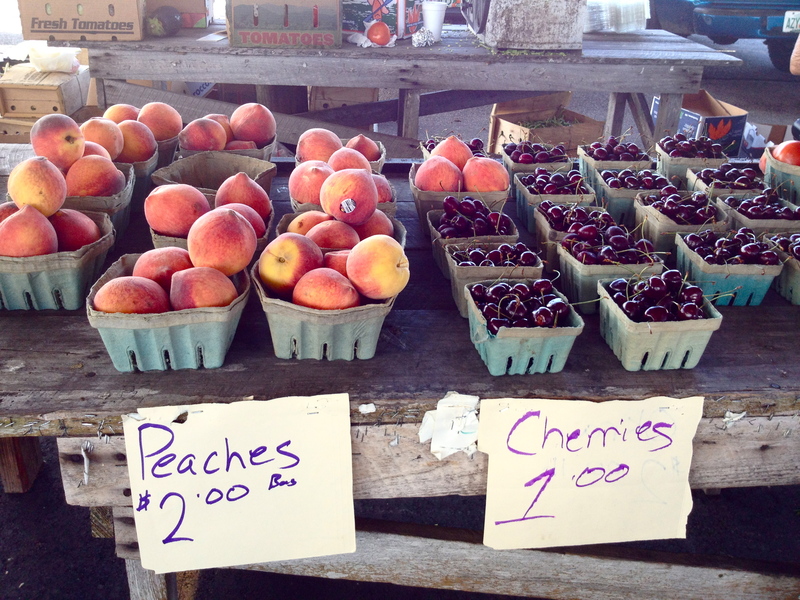 I wish there was a farmer’s market like that around here! Love all the photos of that wonderful garden goodness! Thank you! I’m blessed to have several that are close enough to enjoy, but this market is definitely the best one and people drive from many surrounding towns to enjoy it. 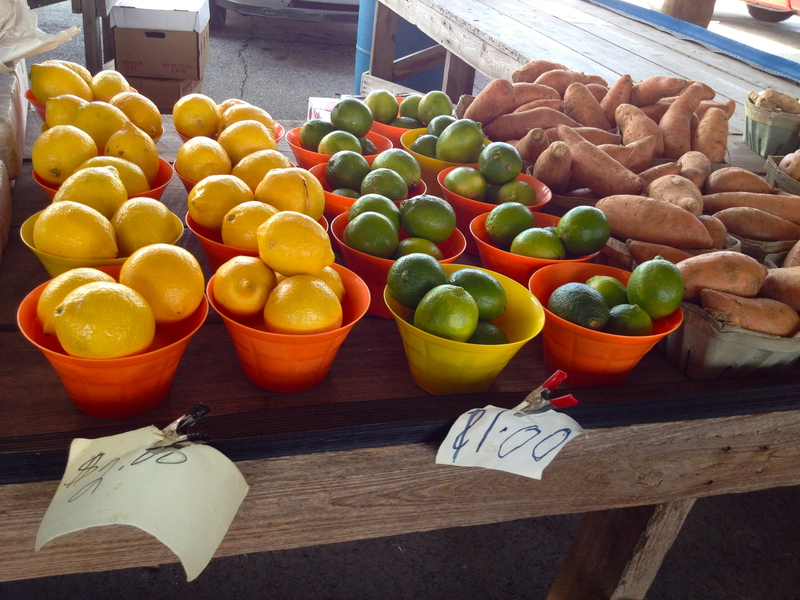 That farmers market is amazing as are your photos! Is this by any chance in Webster? Enjoying looking through your blog, Daisy! Janet! How good to hear from you!! Thanks for your comment, and yes, it’s Webster. We should all go together sometime… wouldn’t THAT be fun!! 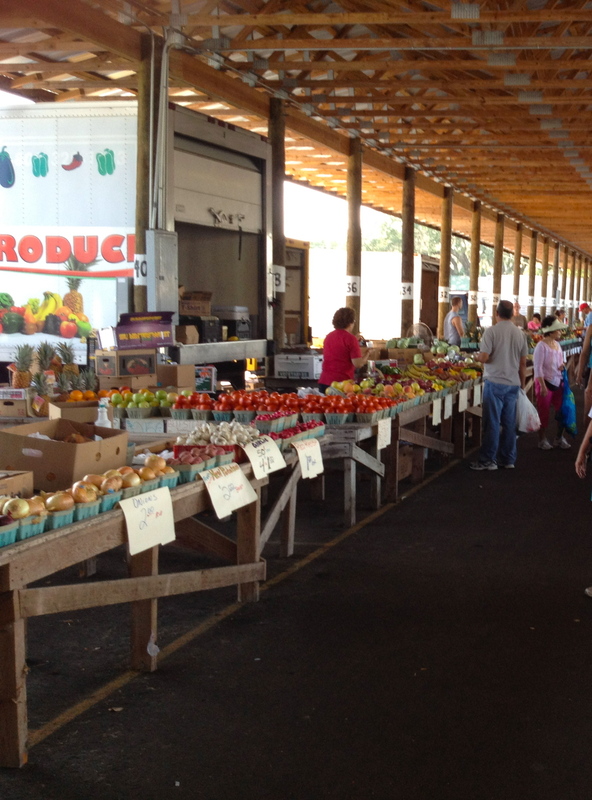 Wow, I would love to have a farmers market like that in my area! I wish I could go! That farmers market is huge! And those prices, wow! That sounds like so much fun to have a flea market there too! 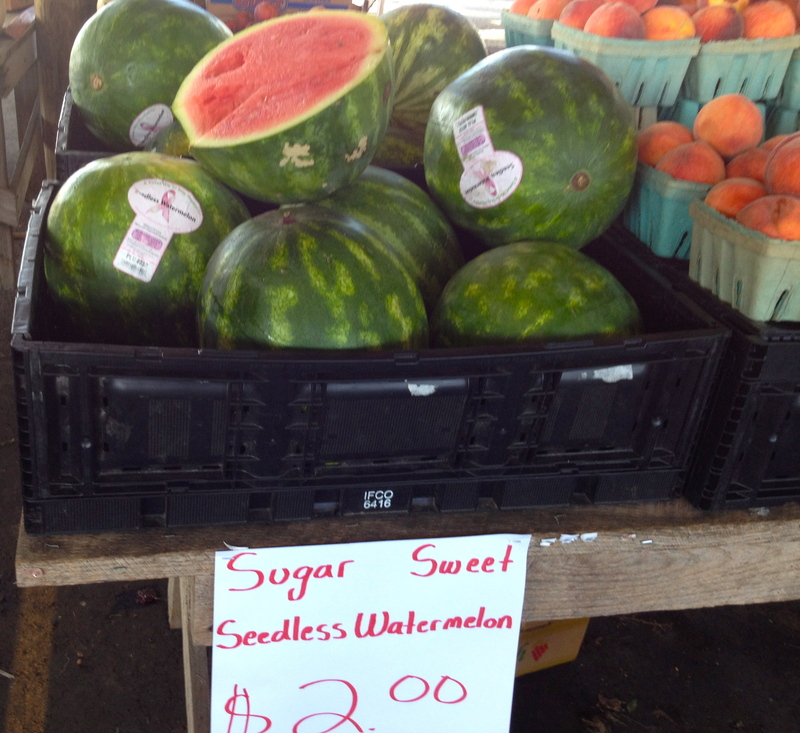 Our farmer’s markets here are small but growing, so maybe one day we will have one like that! 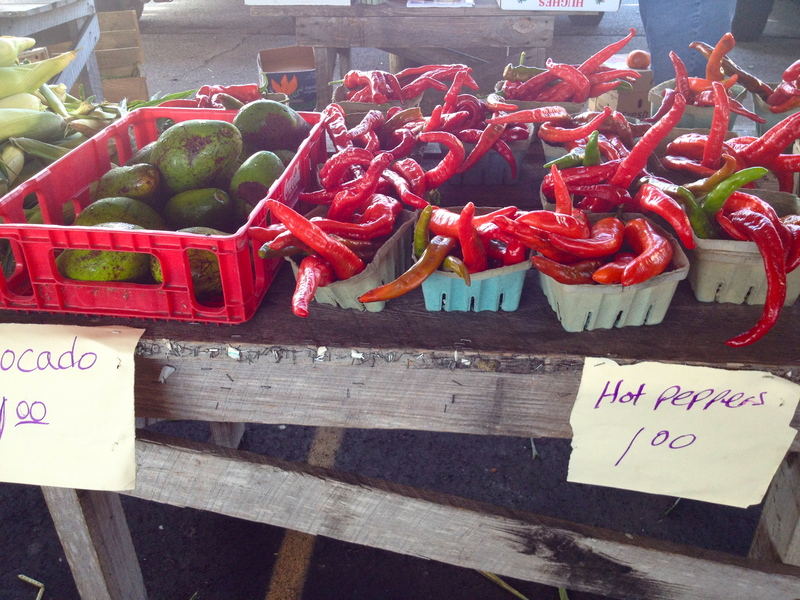 I LOVE farmer’s markets. And this post made me hungry. Gotta go grab a snack. Great pictures – I imagined I could smell the fruit and vegetables. great post! lovely photos! your market looks like so much fun. can’t wait to continue reading your posts, thanks for checking out my blog!